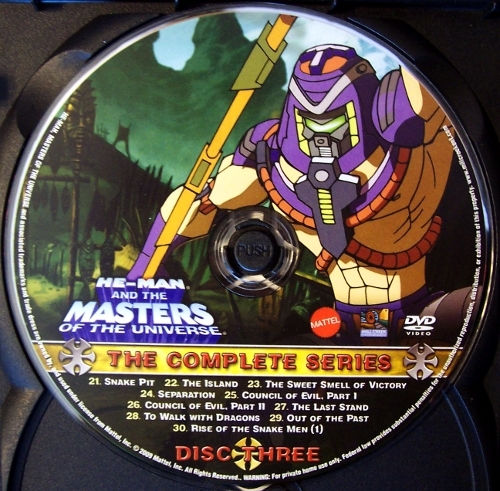 You have the power to re-live all 39 episodes of the Emmy Award winning 2002-03 He-Man and the Masters of the Universe series! 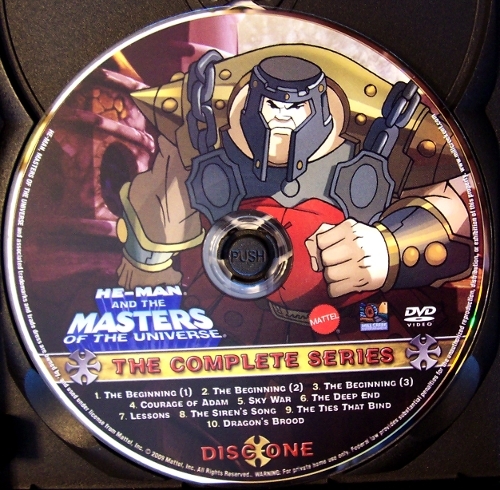 In this complete series collection, you will first learn how Prince Adam became He-Man, the most powerful man in the universe. 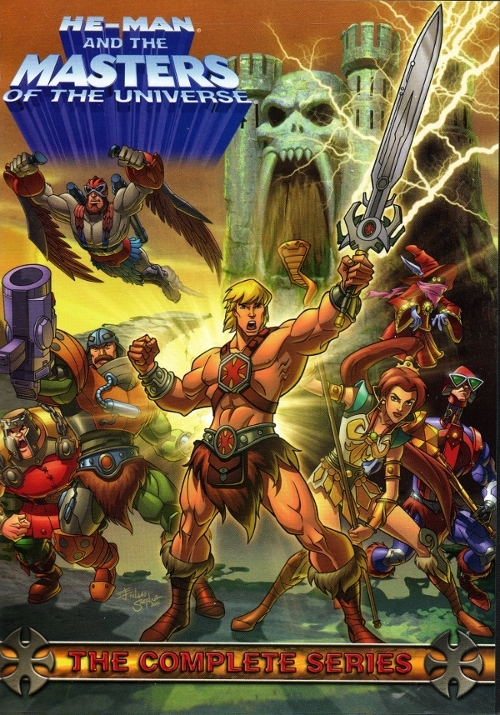 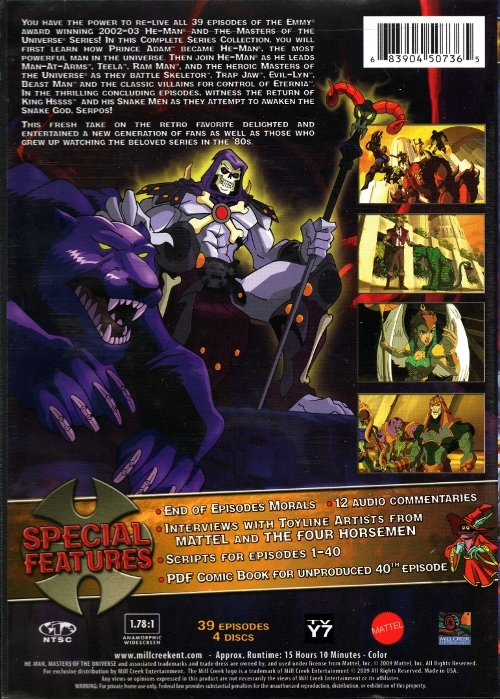 Then join He-Man as he leads Man-At-Arms, Teela, Ram Man, and the heroic masters of the universe as they battle Skeletor, Trap Jaw, Evil-Lyn, Beast Man and the classic villains for control of Eternia. 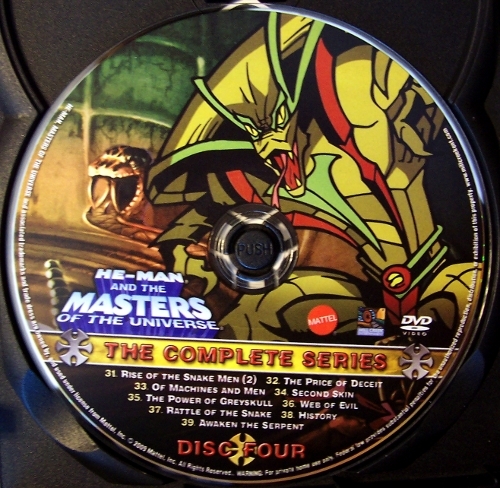 In the thrilling concluding episodes, witness the return of King Hssss and his Snake Men as they attempt to awaken the Snake God, Serpos! 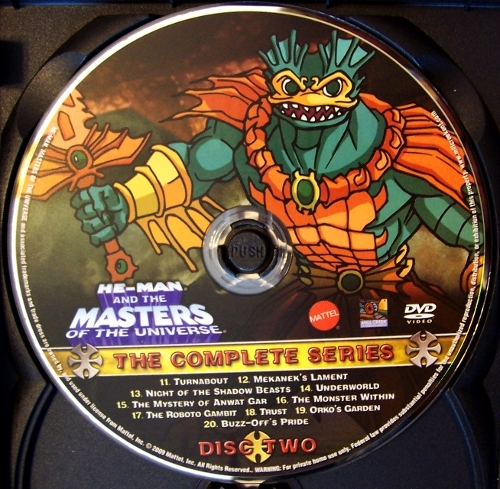 This fresh take on the retro favorite delighted and entertained a new generation of fans as well as those who grew up watching the beloved series in the ’80s.